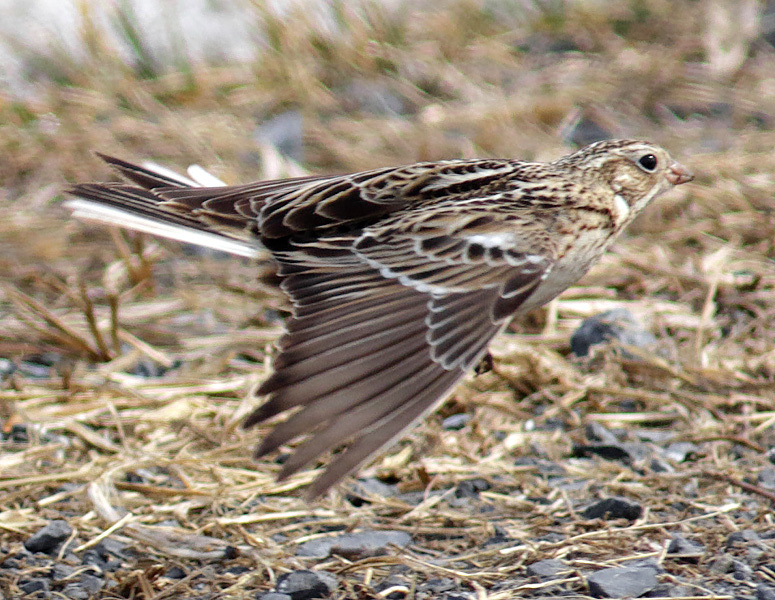 See photos and read about the discovery of the first recorded Smith's Longspur in Virginia. 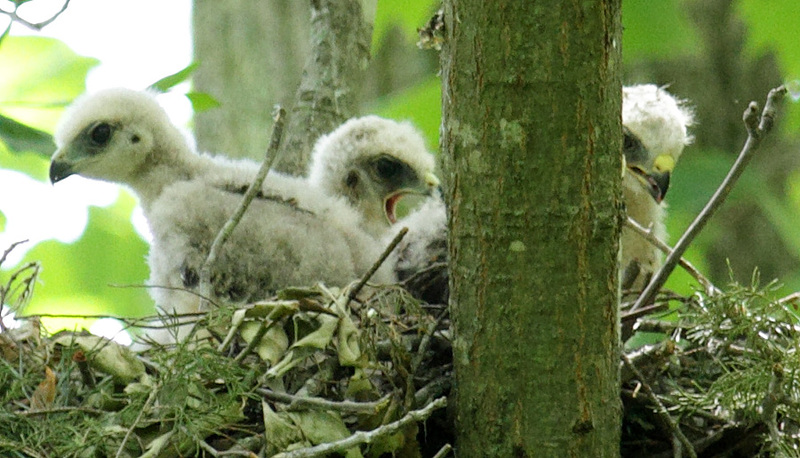 See photos and read about three Red-shouldered Hawk chicks growing from birth to fledglings. 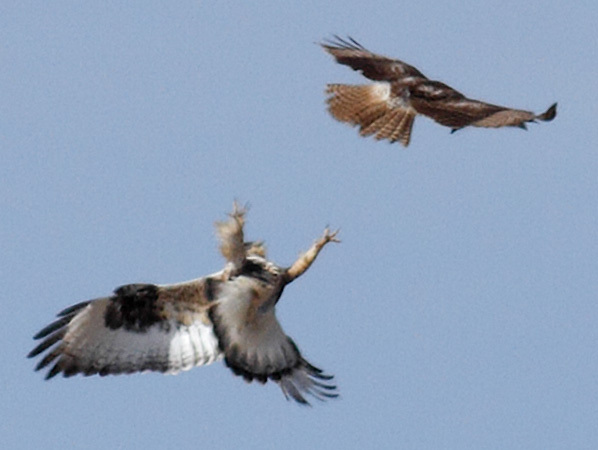 See photos and read about a Rough-legged Hawk defending its territory. Crozet, VA, 4/12/19 - Grasshopper Sparrows; WE Vireo, DC Cormorant! Crozet, VA, 3/31- 4/2/19 - Osprey! Crozet, VA 3/28/19 - Red-shouldered Hawks! Virginia 3/14-15/19 - Raptor meals! Crozet, VA 3/13/19 - Bald Eagles! Augusta and Rockingham Counties, VA 3/12/19 - Great Horned Owl and owlets! Crozet, VA 3/11/19 - Nesting Bald Eagles! Crozet, VA, 3/4/19 - Merlin! Highland County, VA, 2/27/19 - Golden Eagle! Crozet, VA, 2/24/19 - Red-shouldered Hawks! Crozet, VA, 2/10/19 - Mating Red-shouldered Hawks! Crozet, VA, 2/2-4/19 - Raptors! Gordonsville, VA CBC 12/30/18 - Short-eared Owls! Augusta and Rockbridge Counties, VA 12/23/18 - Hawks! Crozet, VA, 12/20/18 - Leucistic Goldfinch! Augusta and Rockingham Counties, VA 11/30/18 - 40 species; Brown Creepers, Harriers! Augusta and Rockbridge Counties, VA 11/21/18 - Rufous Hummingbird! Crozet, VA, 11/18/18 - Winter Wren! Crozet and Shenandoah Valley, VA, 11/1/18 - Northern Goshawk! Crozet, VA 10/17/18 - 34 avian species; warblers and kinglets! Rockbridge and Augusta Counties, VA 10/15/18 - 44 species; Raptors! Central Virginia 10/12/18 - 8 warbler and 3 FOS species! Crozet, VA 10/10/18 - 29 avian species; Scarlet Tanager with wing-bars! Crozet, VA 10/9/18 - 38 avian species; 8 warbler species! Central Virginia 10/5-6/18 - Warblers! 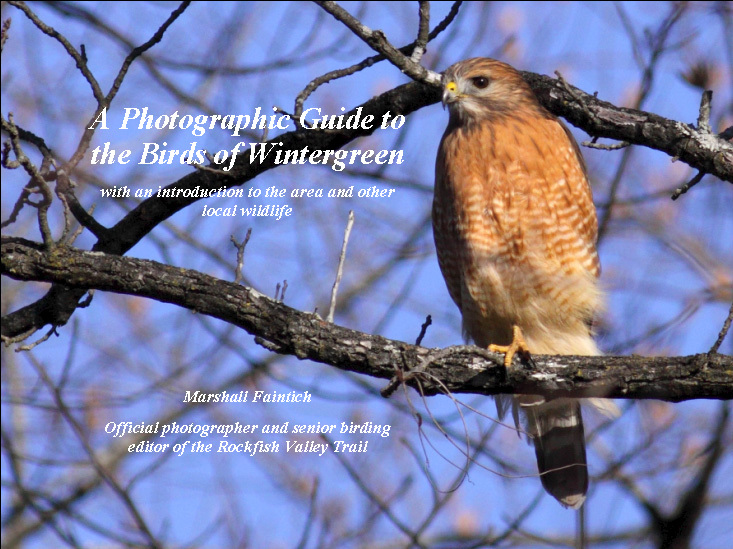 Central Virginia 10/2-3/18 - Kestrels and Thrushes! Shenandoah Valley & Reddish Knob, VA, 10/1/18 - Red-breasted Nuthatch; Warblers! Central Virginia 9/28/18 - Warblers and Raptors! Central Virginia 9/26/18 - Gray-cheeked Thrush; monarchs! Rockfish Valley Trail, VA, 9/25/18 - Connecticut Warbler; 6 Kestrels! 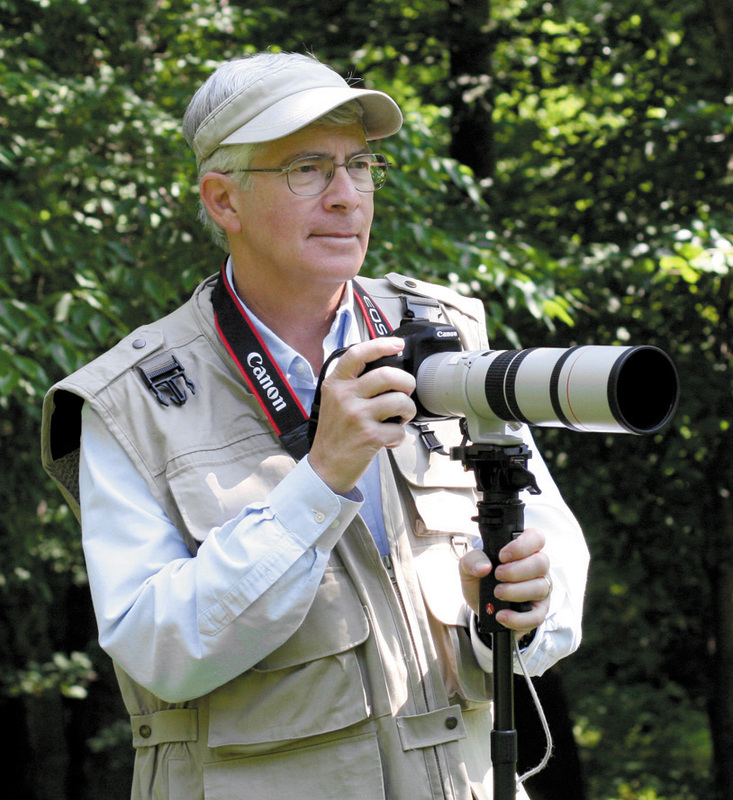 Blue Ridge Parkway, VA 9/19-20/18 - Hawks and Warblers! Blue Ridge Parkway, VA 9/7/18 - 8 Warbler Species! Blue Ridge Parkway, VA 9/6/18 - 11 Warbler Species! Blue Ridge Parkway, VA 9/5/18 - 9 Warbler Species! Blue Ridge Parkway, VA 9/3-4/18 - Warblers! Central Virginia, 8/28-29/18 - Bear! Blue Ridge Parkway, VA 8/9/18 - Birds and Bears! Crozet, VA, 8/2-3/18 - 10 Green Herons! Crozet, VA, 6/19/18 - Willow Flycatcher! Augusta County, VA 6/14/18 - Barred Owls; 10 warbler species! Albemarle County, VA 6/4/18 - Yellow-throated Warbler! Dutch Gap, VA 6/2/18 - Prothonotary Warblers! Blue Ridge Parkway, VA 6/1/18 - 5 warbler species! Highland County, VA 5/24/18 - Golden-winged and Mourning Warblers! Central Virginia, VA 5/10-14/18 - Warblers! Skyline Drive, VA 5/11/18 - 8 warbler species! Highland County and Reddish Knob, VA/WVA 5/9/18 - 10+ Red Crossbills, 11 warbler species! Blue Ridge Parkway, VA 5/7/18 - 6 warbler species! Blue Ridge Parkway, VA 5/4/18 - 9 warbler species! Reddish Knob, VA/WVA 5/2/18 - 10 warbler species! Central Virginia 4/23/18 - American Bittern! Crozet, VA 4/22/18 - Waders and Warblers! Blue Ridge Parkway, VA 4/20/18 - Blue-headed Vireo; Barred Owl! Crozet, VA 4/18/18 - Orange-crowned Warbler! Crozet, VA 4/12/18 - 33 species; Hawks; Osprey; Snipes; Green Heron; Warblers! Augusta County, VA 4/2/18 - 45 species - Short-eared Owl; Horned Grebes; Bonaparte's Gull! Crozet, VA 3/25/18 - Merlin! Albemarle and Augusta Counties, VA 3/22-24/18 - Osprey; Rusty Blackbirds! Louisa and Albemarle Counties, VA 3/4-5/18 - Short-eared Owl; Raptors! Augusta and Rockingham Counties, VA 2/21/18 - Red Crossbills; Rare Ducks! Crozet, VA 2/19/18 - Red-Shouldered Hawks! Rockbridge and Augusta Counties, VA 2/18/18 - Raptors and Swans! Swoope, VA 2/13/18 - American Tree Sparrow! Rockbridge and Augusta Counties, VA 2/8/18 - 40+ species; Snow Goose; Raptors! Crozet, VA 2/3/18 - Red-Shouldered Hawks; Chipping Sparrows! Highland County, VA 1/26/18 - Hawks and Eagles! Swoope, VA 1/19/18 - Raptors! Central Virginia 1/10-14/18 - Merlin and other raptors! Crozet, VA 1/5/18 - Chipping Sparrows! Gordonsville, VA CBC 12/17/17 - Barn Owl, Short-eared Owls, Sandhill Cranes! Crozet, VA 12/10/17 - Highly Leucistic Cardinal! Crozet, VA 12/7/17 - Highly Leucistic Cardinal! Page County, VA 12/4/17 - Harris's Sparrow! Crozet, VA 12/3/17 - Red-shouldered Hawk! Mt. Crawford, VA 12/1/17 - Snowy Owl! Augusta County, VA 11/6/17 - Raptors! Augusta and Rockbridge Counties, VA 10/25/17 - Raptors! Central Virginia 10/20-23/17 - Sparrows; Merlin! Crozet, VA 10/13/17 - Peregrine Falcon! Blue Ridge Area, VA 10/10/17 - 10 Warbler Species! Blue Ridge Parkway, VA 10/8/17 - 11 Warbler Species! Blue Ridge Parkway, VA 9/29/17 - 10+ Warbler Species! Blue Ridge Parkway, VA 9/25/17 - 8 Warbler Species! Gray-cheeked Thrush! Blue Ridge Parkway, VA 9/22/17 - 10 Warbler Species! Bear! Blue Ridge Parkway, VA 9/21/17 - Gray-cheeked Thrush! Blue Ridge Parkway, VA 9/20/17 - Unusual Bunting! Blue Ridge Parkway, VA 9/19/17 - 10 Warbler Species! Central Virginia 9/14-18/17 - a few warblers; Broad-winged Hawk Kettle! Crozet, VA 9/13/17 - Mourning Warbler! Blue Ridge Area, VA 9/10-12/17 - Warblers! Rockfish Valley Trail, VA 9/11/17 - Olive-sided Flycatcher! Crozet, VA 9/7/17 - Buff-breasted Sandpiper! Blue Ridge Mountains, VA 8/24-25/17 - Warblers! St. Louis, Missouri 8/16-21/17 - Henslow's Sparrows! Total Solar Eclipse! Reddish Knob, VA/WVA 6/29/17 - 60 species, 12 warblers! Paddy Knob, VA/WVA 6/22/17 - Mourning Warblers! Blue Ridge Parkway, VA 6/20/17 - Warblers! Highland County, VA 6/9/17 - Lawrence's Warbler! Old Trail; Crozet, VA 5/4-5/17 - Yellow Warbler! Mt. Crawford; Skyline Drive, VA 5/3/17 - White-rumped Sandpiper! Winchester, VA 4/3/17 - Long-eared Owl! Crozet, VA 2/9/17 - Two Black Swans! Augusta County, VA 1/6/17 - Snow Bunting! Augusta County, VA 12/27/16 - Snow Bunting! Centreville, VA 12/25/16 - Northern Shrike! Louisa and Albemarle Counties, VA 12/21/16 - Sandhill Cranes; Snow Geese; Cackling Goose! Albemarle and Augusta Counties, VA 12/19-20/16 - Snow Geese; Raptors! Old Trail, Crozet, VA 12/11/16 - Dickcissel, Merlin! Old Trail, Crozet, VA 12/4/16 - Cooper's Hawk! Central Virginia, VA 12/2-3/16 - Merlin! Central Virginia, VA 11/26-28/16 - Dickcissel! Coastal Virginia, 11/14-18/16 - 87 species; Jaeger; Sparrows; Wrens; Bittern! Rockingham County, VA 9/20/16 - American Golden-Plover; warblers! Rockfish Valley Trail, VA, 8/6/16 - Olive-sided Flycatcher! Nazarene Wetlands, VA, 7/18/16 - Virginia Rail and Sora! Skyline Drive, VA, 7/11/16 - juvenile birds, deer, bears! Nazarene Wetlands, VA, 7/6/16 - Soras! Skyline Drive, VA, 6/22/16 - Warblers! Blue Ridge Parkway, VA, 6/14/16 - Warblers! Blue Ridge Parkway, VA, 6/6/16 - Warblers; Cuckoos; Bears! Paddy Knob, VA, 6/1/16 - Mourning Warblers! Dayton, VA, 5/27/16 - Franklin's Gull! Croatan National Forest, NC, 4/29-30/16 - Bachman's Sparrows; Red-cockaded Woodpeckers; Swainson's Warblers! Blue Ridge Parkway, VA, 4/27/16 - Warblers! Louisa County, VA, 2/22/16 - Rough-legged Hawk! Highland County, VA, 1/7/16 - Golden Eagle! Shenandoah Valley, VA, 1/4/16 - Raptors! Gloucester Point, VA, 11/16/15 - Saltmarsh Sparrows! Rockfish Gap Hawk Watch, 9/19/15 - Raptors! Rockfish Valley, Virginia, 9/5-6/15 - Probable Mourning Warbler? Stuart's Draft, VA, 8/8/15 - Wilson's Phalarope (my life bird #600)! Central Virginia, 7/24-25/15 - Warblers on the move? Reddish Knob; Rockfish Valley Trail, VA, 7/1-2/15 - Warblers! Southwestern North Carolina 6/25-27/15 - Swainson's Warblers! Rockfish Valley, VA, 4/20/15 - FOS Common Yellowthroat; FOS Eastern Kingbird; 4 Great Egrets! Waynesboro, VA; Stoney Creek (Wintergreen) 4/18/15 - Worm-eating Warbler! Waynesboro, VA 4/9/15 - Hawks! ; Horned Grebe! Stoney Creek (Wintergreen) 4/3/15 - Horned Grebes! Reddish Knob, VA 3/22/15 - Red Crossbills! Highland County, VA 3/18/15 - Golden Eagles! Stoney Creek (Wintergreen) 3/13/15 - Pine Warbler! Stoney Creek (Wintergreen) 3/6/15 - Leucistic Carolina Chickadee! Swoope, VA 3/2/15 - Bald Eagle; Peregrine Falcon! Shenandoah Valley, VA 2/25/15 - SMITH'S Longspurs! Shenandoah Valley, VA 2/23/15 - SMITH'S and Lapland Longspurs! Rockfish Valley 2/18/15 - Snow birds! Shenandoah Valley, VA 1/20/15 - Raptor "Rapture"; Greater White-fronted Geese! Central VA 1/7-11/15 - Snow, Ross's, and Cackling Geese! Augusta County, VA 11/11/14 - Goldeneye! Rockfish Valley Trail 10/20/14 - Merlin! Highland County, VA 9/24/14 - Eagles and Hawks! Central Virginia 9/20/14 - Close, but no cigar! Wintergreen Area 9/11/14 - Transition Day? Central Virginia 9/9-10/14 - Where are the birds? Rockfish Valley Trail 8/22/14 - Mourning Warbler! Mathews, VA 8/19/14 - Seaside Sparrow! Rockfish Valley Trail 8/18/14 - Olive-sided and Yellow-bellied Flycatchers! Swoope, VA + 8/14/14 - Glossy Ibis!! Central Virginia 8/7/14 - Red Crossbills! Northern Virginia 8/4/14 - Mississippi Kites! Swoope, VA 7/4/14 - 3 Bald Eagles! Stoney Creek (Wintergreen) 6/28/14 - Juvenile Cooper's Hawks! Stoney Creek (Wintergreen) 6/25/14 - Juvenile Cooper's Hawks! Augusta County, VA 6/2/14 - Purple Gallinule! South on the Blue Ridge Parkway 5/6/14 - Great photo day! Central Virginia 5/3/14 - More Warblers! Central Virginia 5/1/14 - 57 species; Warblers! Harrisonburg, VA 4/4/14 - Grebes! Shenandoah Valley 2/17/14 - Lapland Longspurs! Shenandoah Valley 2/10/14 - Long-tailed Duck; White-winged Scoter; Red-necked Grebes! Central Virginia 2/2-6/14 - Ducks! Mt. Crawford 12/30/13 - SNOWY OWL! Shenandoah Valley 12/13/13 - Lots of ducks; Long-tailed Duck! Wintergreen Area 10/15-17/13 - Warblers! Rockfish Valley Trail 10/13/13 - Merlin! Rockfish Valley Trail 10/8/13 - 44 species; Connecticut Warbler! Rockfish Valley Trail 9/7/13 - Warblers! Rockfish Valley Trail 9/2/13 - Red-headed Woodpecker! Swoope, VA 6/28/13 - Dickcissels! Rockfish Valley Trail 5/9/13 - Warblers; Crozet, VA - Red-necked Phalarope! Central Virginia 5/8/13 - Looney Tunes! Blue Ridge Parkway; Rockfish Valley Trail 5/3/13 - Warblers! Blue Ridge Parkway; Waynesboro, VA 5/1/13 - Warblers; Shorebirds; Bear! New Hope, VA 3/26/13 - Lapland Longspurs! Central Virginia 3/10/13 - Short-eared Owls! Central Virginia 3/3/13 - Ross's and Cackling Geese; Red-tailed and Rough-legged Hawks do battle! Dutch Gap, VA 2/25/13 - 53 species - Rufous Hummingbird! 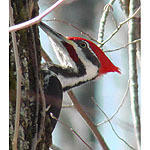 Highland & Augusta Counties 2/21/13 - Golden Eagles; American Tree Sparrows; Short-eared Owls! Central Virginia 2/9-12/13 - Evening Grosbeak; 2 "Gray Ghosts"
Rockfish Valley Trail 12/13/12 - Gray Ghost #2! Zion Crossroads 12/12/12 - Gray Ghost and other Harriers! Dutch Gap, VA 12/3/12 - 47 species - American Bittern; Marsh Wren! Augusta County, VA 11/29/12 - 41 species - Hawks; Bald Eagles; BC Night Heron! Nelson County, VA 11/26/12 - 41 species - Hawks; Bald Eagles! Rockfish Valley Trail 11/19/12 - Hawk Wars! Crozet, VA 10/12/12 - Double Eagle! Rockfish Valley Trail 9/17/12 - Connecticut & Mourning Warblers; Olive-sided Flycatcher! Rockfish Valley Trail; Rockfish Gap Hawk Watch 9/15/12 - Olive-sided Flycatcher! Rockfish Valley Trail 9/14/12 - Yellow-bellied Flycatcher; Blue-winged & other Warblers! Rockfish Valley Trail 9/13/12 - 44 species; Yellow-bellied Flycatcher; Blue-winged & Lawrence's Warblers! Rockfish Valley Trail 9/12/12 - 43 species; Warblers! Hawks! Rockfish Valley Trail 9/11/12 - Bobolink! Rockfish Valley Trail 9/10/12 - Warblers! Rockfish Gap Hawk Watch 9/7-8/12 - Eagles! Rockfish Valley Trail 9/7/12 - 26 species - Yellow-bellied Flycatcher! Reddish Knob Area 8/30/12 - 43 species; 8 warbler species! Highland and Rockbridge Counties 8/20-21/12 - Swallow-tailed Kite! Rockingham County, VA 8/13/12 - Warblers; Vireos; Bear! New Hope, VA 7/19/12 - Dickcissels! Highland County, VA 6/27/12 - Northern Parula; Golden-winged Warblers! Highland County, VA 6/15/12 - Ruffed Grouse! Crozet, VA 6/8/12 - Bald Eagle! Dutch Gap, Richmond, VA 6/5/12 - Prothonotary and Yellow-throated Warblers! Crozet, VA 5/26/12 - Semipalmated Plover and Sandpipers! Wintergreen area 5/20-22/12 - More Red-shouldered Hawk chicks! Highland County, VA 5/19/12 - Golden-winged/Brewster's Warblers! Blue Ridge Parkway 5/18/12 - Warblers! Stoney Creek & Crozet, VA 5/15/12 - Black Tern! Wintergreen area 5/10/12 - Red-shouldered Hawk chicks! Blue Ridge Parkway 5/4-5/12 - Warblers! Blue Ridge Parkway 4/20/12 - Warblers! Rockfish Valley Trail 4/4/12 - 33 species - Kestrels! Stoney Creek (Wintergreen) 3/31/12 & Warren Ferry, VA 4/1/12 - Yellow-throated Warbler! Rockfish Valley Trail 3/27/12 - Kestrels! Stoney Creek (Wintergreen) 3/25/12 - Hawks, Owl, and Woodpecker Wars! Stoney Creek (Wintergreen) 3/24/12 - Red-breasted Mergansers! 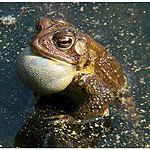 Rockfish Valley Trail 3/21/12 - 36 species - Louisiana Waterthrush, Kestrels, Sparrows! Crozet, VA 3/10/12 - Bald Eagle! Stoney Creek (Wintergreen) 3/7/12 - Ducks! Stoney Creek (Wintergreen) 3/3/12 - Ducks! Rockfish Valley Trail 2/28/12 - 24 Species - Hawks! Stoney Creek (Wintergreen) 2/25/12 - Rusty Blackbirds! Stoney Creek (Wintergreen) 2/22/12 - Red-shouldered Hawks! Rockfish Valley Trail 2/6/12 - 20 Species - Northern Harrier! Stuart's Draft, VA 1/6/12 - Lark Sparrow! Rockfish Valley Trail 12/19/11 - 23 Species; Raptors! Stoney Creek (Wintergreen) 12/2,3/11 - Snow Goose! Shenandoah Valley 12/1/11 - Rough-legged Hawk! Stoney Creek (Wintergreen); Rockfish Valley Trail 11/29,30/11 - Snow Goose! Stoney Creek (Wintergreen); Rockfish Valley Trail 11/18/11 - Great Horned Owl, Hawks! Rockfish Valley Trail 11/3/11 - Coyote! Rockfish Valley Trail 10/7/11 - 44 species - Sparrows! Rockfish Valley Trail 10/5/11 - 41 species - Warblers! Rockfish Valley Trail 9/30/11 - 31 species - Cuckoos; Hawks! Rockfish Valley Trail 9/28/11 - 35 species - Warblers! Stoney Creek (Wintergreen) 9/27/11 - Warblers! 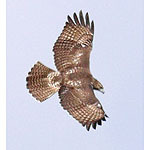 Blue Ridge Parkway; Rockfish Gap Hawk Watch 9/13/11 - Raptors! Stoney Creek (Wintergreen) 9/2/11 - Magnolia Warbler! Stoney Creek (Wintergreen) 8/8/11 - Yellow-billed Cuckoo! Stoney Creek (Wintergreen); Rockfish Valley Trail 6/29/11 - Weird day! Rockfish Valley Trail 6/9/11 - Bluebirds; Close Encounter! Mint Springs Park (Crozet, VA) 5/21/11 - Warblers? Blue Ridge Parkway 4/30/11 - Warblers! 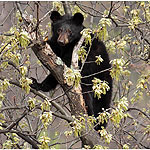 Blue Ridge Parkway 4/24/11 - Bear! Shenandoah Valley near Stuart's Draft, VA 4/2/11 - Trumpeter Swan! Stoney Creek (Wintergreen) 3/29/11 - Common Merganser; Swallows! 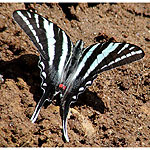 Stoney Creek (Wintergreen) 3/21-22/11 - Wildlife Surprises! Stoney Creek (Wintergreen) 3/12/11 - More Ducks; Common Mergansers! Stoney Creek (Wintergreen) 3/11/11 - Ducky morning! Stoney Creek (Wintergreen) 3/3/11 - Interesting Species! Rockfish Valley Trail 2/15/11 - 17 Species; Mink! Stoney Creek (Wintergreen) 12/3/10 - 23 species - Herons! Stoney Creek (Wintergreen) 11/27/10 - Red-tailed Hawk aerial combat! Rockfish Gap Hawk Watch 11/7/10 - Golden Eagle! Rockfish Valley Trail & Rockfish Gap Hawk Watch 10/29/10 - Loon! Rockfish Valley Trail & Rockfish Gap Hawk Watch 10/21/10 - Kestrels! Rockfish Valley Trail 10/19/10 - Eight Species of Sparrows! Rockfish Valley Trail & Rockfish Gap Hawk Watch 10/17/10 - Eagles! Rockfish Valley Trail 10/15/10 - Nine Species of Sparrows! Rockfish Valley Trail 10/10/10 - Sparrows! Rockfish Valley Trail & Rockfish Gap Hawk Watch 9/18/10 - Broad-winged Hawks! Rockfish Valley Trail & Rockfish Gap Hawk Watch 9/17/10 - Warblers! Blue Ridge Parkway & Rockfish Gap Hawk Watch 9/14/10 - Bald Eagles! Blue Ridge Parkway & Rockfish Gap Hawk Watch 9/1/10 - Warblers! Blue Ridge Parkway 7/30/2010 - Warblers! Blue Ridge Parkway 4/30/2010 - Warblers! Stoney Creek (Wintergreen) 4/1/2010 - Osprey! Shenandoah Valley 2/27/2010 - Rough-legged Hawk! Shenandoah Valley 1/29/2010 - Rough-legged Hawk! Stoney Creek (Wintergreen) 1/9/2010 - Great Horned Owl! Stoney Creek (Wintergreen) 1/5/2010 - Redheads!